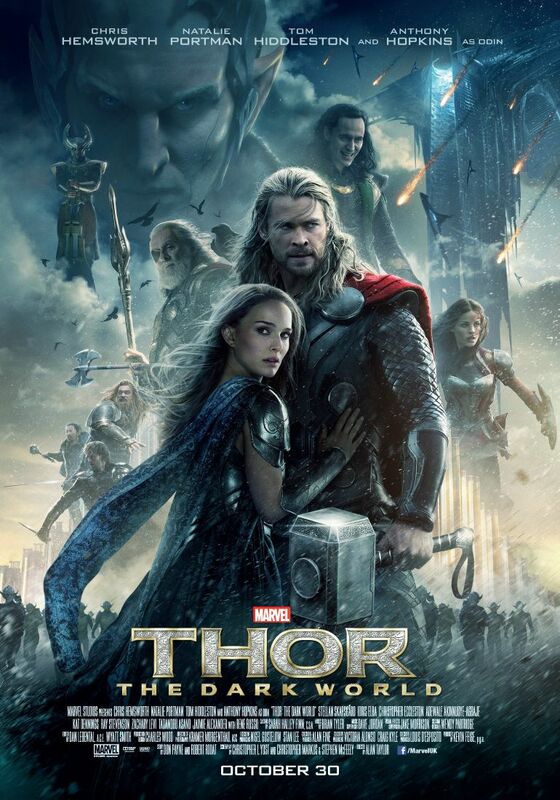 My Geeky Geeky Ways: Thor: The Dark World - The NO SPOILERS Review! Thor: The Dark World - The NO SPOILERS Review! I liked it. In many ways, I liked it better than the first Thor movie. I think this is partly because Thor: The Dark World feels more like a story from the original books and we spend a bit more time in Asgard and the other realms of Norse mythology rather than watching Chris Hemsworth stumble around New Mexico being awkward and arrogant as the scene requires. Now that the characters are established, we're free to jump head-first into the utter insanity of Marvel's universe. There's a fair bit of spectacle that I can only describe as Kirbyesque. As before, the armor of Asgard looks like the sort of thing The King would have drawn. Yet there are also many background details - like the celestial skyline Heimdall watches and the ceremony where Asgard honors their fallen warriors - that speak to the same sense of majesty Jack Kirby put into his Thor comics. There's quite a few nods to the original comics in the story as well, my favorite being Volstagg (the largest of The Warriors Three) being surrounded by kids as he's telling stories. The best part about the story, however, is that Jane Foster isn't a completely helpless damsel-in-distress and indeed takes a direct hand in things during the final battle. And there's one exchange - one of the few scenes Joss Whedon has been confirmed to have contributed to directly - which perfectly sums up both Loki and Thor as characters. Loki says it is not his nature to be satisfied and Thor says it is not in his nature to surrender. While I did enjoy this movie, it's not without flaws. The plot depends a little too heavily on coincidence to be credible. The cast is great but most of them are given too little screen time. Christopher Eccleston in particular is criminally wasted as the king of the Dark Elves, having nothing to do but glower menacingly through four pounds of make-up and stand in the background while other people fight. Anthony Hopkins also seems to be phoning it in a bit as Odin but that's to be expected given that he has little to do but sit on his throne and bark orders. By contrast, the scenes detailing Jane Foster's co-workers on Earth run a little too long and do little to enhance the story. Still, Thor: The Dark World is an enjoyable movie and well worth seeing on the big screen.